Good accounting practices are one of the most important administrative tasks practicing attorneys face in managing their legal practices. Whether you are a sole practitioner, own a small legal practice, or a partner in a large firm, you have the same accounting responsibilities as all other attorneys. While the complexity of your accounting and bookkeeping tasks may change with the size of your practice, the basic accounting principles will remain the same. In fact, you will be required to follow your state's rules and regulations regarding your accounting for client funds. Since these rules vary from state to state, you should be sure to familiarize yourself with your state's regulations in this area. 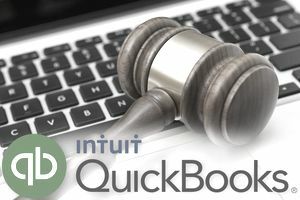 However, if you or your law firm uses QuickBooks in your practice, the following tip may help you track any advanced payments or retainers you receive from your clients. Some states may allow client retainers to be accounted for separately in the accounting records, but for the funds to be deposited into the law firm's operating bank account. Other states require the use of trust accounts, where client retainers are not only accounted for separately but maintained in a separate bank account from your firm's operating account used for day-to-day business expenses. Some lawyers have made American Bar Association rules. The following steps can be used when your clients pay fees in advance, and when your state allows you to deposit the funds into your law firm's checking account. Go to the List menu. Click on the Account button. The Add New Account window will display. In the Account Name field, enter Client Retainers. Click Save & Close to complete the process. Since the retainers are not earned, you will record a liability for these advances; you should not record it as income when you get a retainer. The retainer will be recognized as income when the fee is earned when your client is provided with legal services. When you have provided your client with legal services, you can create an invoice and apply the amount of the retainer to the invoice. The retainer will then be subtracted from the amount the client owes you, and the retainer will be moved from the liability account and recognized as revenue at that time. Click the Create Invoices icon. Select your law firm's customized invoice from the list. Click the Customer: Job drop-down arrow and select a customer from the list. Click the first line in the Item column. Click the drop-down arrow and select an item. Click Save & Close to create the invoice. As mentioned, law firms are subject to strict accounting requirements for client funds. These requirements vary from state to state. While all states require attorneys to use trust accounts to hold client funds in certain circumstances, you will need to familiarize yourself with your states specific requirements. You may be required to hold your retainers in your firm's trust account, or you may only be required to account for retainers separately in your firm's accounting records. The difference is that with trust accounts, you must set up a separate ethical conduct for handling client funds. Failure to abide by those rules and practices could result in administrative, civil, or criminal sanctions.